While SBI did not state the reasons for its planned loan sale through e-auction outside the IBC driven recovery, sources says delays in resolution under the bankruptcy law, along with clogged pipelines at various NCLT (National Company Law Tribunal) benches, are perhaps encouraging banks to look for outright sale. 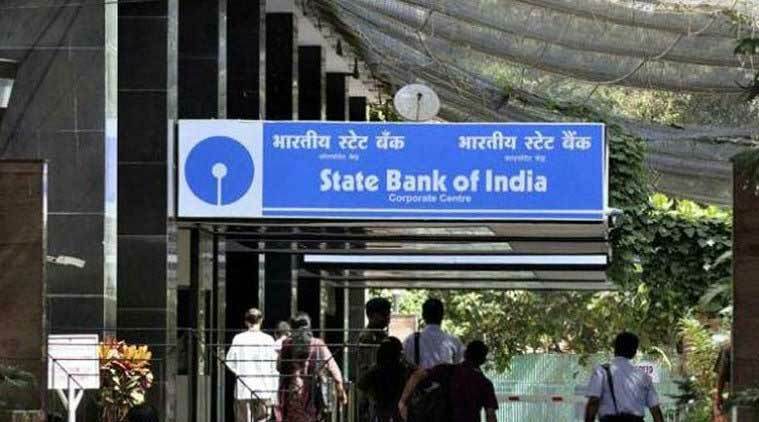 A decision by the Country’s largest lender State Bank of India (SBI) to auction its Rs 15,431.44 crore worth of loan exposure in Essar Steel India Ltd, which is undergoing corporate insolvency resolution process (CIRP) under the Insolvency and Bankruptcy Code (IBC), has raised some question marks over efficacy of the entire IBC process and the belief of lenders — ostensibly the biggest gainers from the process— in it. While SBI did not state the reasons for its planned loan sale through e-auction outside the IBC driven recovery, sources says delays in resolution under the bankruptcy law, along with clogged pipelines at various NCLT (National Company Law Tribunal) benches, are perhaps encouraging banks to look for outright sale. It’s important to note that SBI is the lead lender to Essar Steel and has taken it to the insolvency court for resolution. So, while the Code has successfully dealt with a number of cases so far, an analysis of the available data shows nearly half of the cases undergoing CIRP under IBC have exceeded the 180-day deadline set out in the law (as on September-end). The delays, resulting from legal challenges to case-specific complexities, are frustrating lenders that have been hoping for faster recovery under the bankruptcy law that came into practice roughly two years back. A hallmark of the IBC was that resolution should be done within 180 days and a grace period of 90-days could be accorded, bringing the maximum time to 270 days. This was inserted to bring in urgency in the process of resolving Rs 11 lakh crore worth of stressed loans. However, at December-end, out of the 898 cases that were undergoing resolution under NCLT benches, 275 cases were going on for more than 270 days while another 166 cases were on for more than 180 days. This means nearly 49.10 per cent of cases over shot the 180-day deadline while 30.62 per cent of cases crossed the 270-days deadline at December-end, as per the latest available data sourced from the Insolvency and Bankruptcy Board of India. 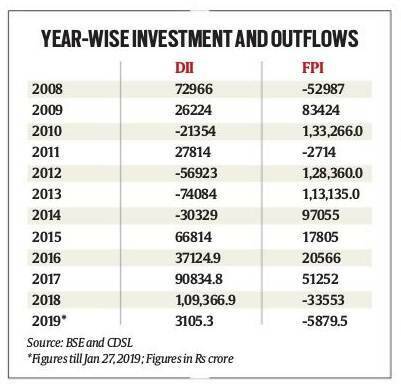 Of the cases, which underwent successful resolution under the IBC, the financial creditors could recover a total of Rs 65,753.23 crore out of their total claims of Rs 1,35,859 crore – resulting in a recovery rate of 48.39 per cent under the IBC at December-end, much higher than what banks were recovering through normal channels such as Debt Recovery Tribunals. A comparison of recovery through channels other than IBC shows that bankruptcy code has been more fruitful for creditors to recover their dues. Among the biggest cases resolved under the IBC include Bhushan Steel, Electrosteel Steel, Amtek Auto, Monnet Ispat and Energy, accounting for nearly Rs 93,000 crore worth of total claims of financial creditors. Against IBC recovery rate of over 46 per cent, the rate of recovery of banks’ gross NPAs through other channels has been steadily declining for the past 12 years and hit the lowest level of 20.8 per cent in 2016-17, the RBI said in its Report on Trend and Progress of Banking in India 2016-17. During the 2015-17 period, the average recovery ratio of Indian banks – through existing channels including Debt Recovery Tribunals, the Securitisation and Reconstruction of Financial Assets and Enforcement of Security Interest (SARFAESI) Act, and Lok Adalats – was 26.4 per cent. While recovery rate of private sector banks at 41 per cent, for public sector banks it was at 25.1 per cent. After peaking at 61.8 per cent in 2009, and remaining well above 40 per cent in the earlier years, recovery rate has declined over the years, RBI data shows. Among the large cases involving financial creditor claims above Rs 5,000 crore, recovery rate varies from as low as 0.3 per cent in case of Zion Steel to as high as 63.5 per cent in case of Bhushan Steel. In two cases involving outstanding claims of over Rs 5,000 crore each— Orissa Manganese & Minerals Ltd and Adhunik Metaliks Ltd — the recovery rate has been less than 8 per cent. The case of Essar Steel, for which SBI has sought to auction its portion of the loans, is interesting since it is in the penultimate stage of resolution, with the Committee of Creditors already approving a binding bid of Rs 42,202 crore bid put in by ArcelorMittal India Private Limited. The NCLT is expected to pronounce its order in this case on January 31. SBI, which had earlier kept January 30 as the deadline for e-auction of Essar Steel loans, on Thursday extended it to February 11. The total dues of Essar Steel is Rs 54,389 crore. In October 2018, the Essar Steel promoters Ruias had sought to turn the tables on ArcelorMittal with its eleventh hour offer of Rs 54,389-crore to settle the dues of banks and other creditors of steel maker. Among large default cases, that the RBI had directed lenders to take to NCLT for resolution, cases like Bhushan Steel, Electrosteel Steels and Binani Cement have been successfully resolved while many including Essar Steel, Bhushan Power and Steel, Jaypee Infratech, Era Infrastructure and Videocon Industries, among others, are yet to be resolved despite overshooting deadline by a wide margin. In the case of Binani Cement, financial creditors could recover full amount of Rs 6469.36 crore through CIRP. In his views on the IBC resolution process, Former Chief Economic Adviser Arvind Subramanian noted in his book of Counsel: The Challenges of Modi-Jaitley Economy, that the two major challenges facing the NCLT process are clogged pipelines and the unsuitability of the method for some classes of stressed assets, especially power and small and medium enterprises. Resolving the whole NPA problem could take another six years or so at the current clearance rate, he said, while suggesting that for faster resolution, stressed assets should be divided into three groups: assets that should go through CIRP; large assets such as in power sector that need an alternative resolution mechanism; smaller assets that could potentially clog CIRP. Apart from legal delays due to appeals at the NCLAT and Courts, another set of cases of real estate companies are facing delays due to sector-specific complexities and difficulties in dealing with issues.